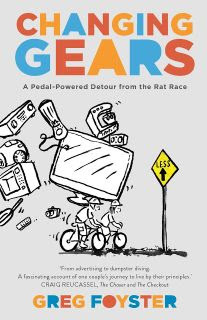 I'm pleased to be able to share Greg's book Changing Gears with you. I've just drawn numbers out of a hat - I'm old school - and the winner of the book is number 4 - suburbandigs. Congratulations Michael. Please email me with your postal address. I hope Michael enjoys the book. It was fun to be in the draw. Look forward to your return Rhonda. Angela and Sherrie, I think it shows a certain strength of character to take the time to congratulate the winner of something you hoped for. Thank you both for the gracious good wishes for Michael. We bought the book this week and it is wonderful. I still wonder how two people so young have the wiseness it took me to the age of 46 to obtain and I feel as though I am only half way there.If you have the opportunity to buy this book, then snap it up - it is a great story. Yes, it's a great read, Kim. I'm pleased you're enjoying it. Congratulations Michael and thank you Rhonda for this giveaway! I have followed your link and hope to catch Greg when he is down our way! The book looks awesome! Wow, thank you so much Rhonda! I'm so happy right now! Thanks also Angela and Sherrie! Congratulations Michael, I'll make arrangements to have it sent today. Where am I and what am I doing?